Description: Palustrine Scrub-shrub covering the small channel area of the Napa River between the stream banks. The channel is completely flooded in the spring and winter. Conditions: Late fall water level is low within channel. Willow, various species Salix spp. 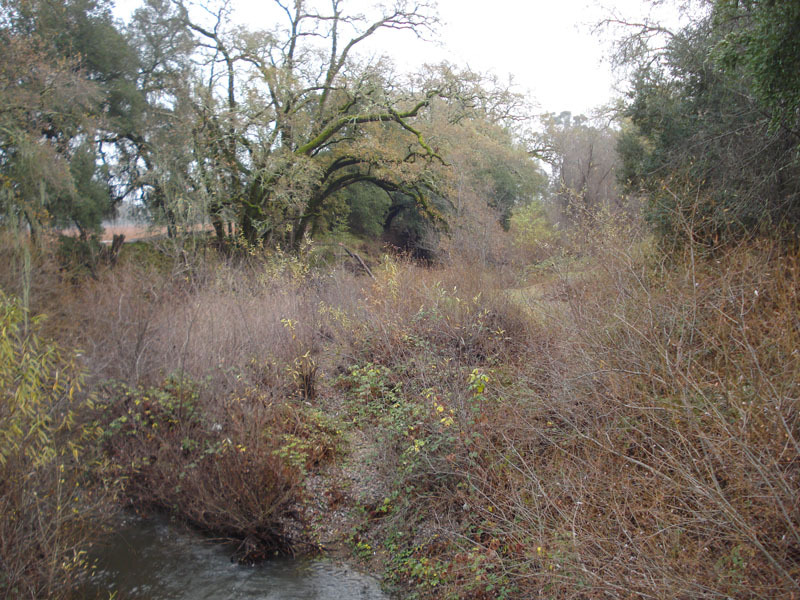 Disturbances: Water levels in river are influenced by groundwater use for vineyard irrigation. Comments: Even though water is flowing in the channel, the dominant wildlife habitat within the channel is Scrub-shrub.